Wanting to wow this winter? Why not choose a classic cape coat? This Melton Clean Cape from Topshop (£85) comes in a classic oatmeal colour and is 64% wool, making it a practical yet stylish choice for your wardrobe. Not every winter coat needs to be neutral. Looking for guaranteed warmth and a pop of colour? Check out this girl’s pink puffer coat with faux fur collar from River Island (£40). This oversized, padded coat comes with a zip fastening and a detachable faux fur collar for extra cosiness! Looking for a classic cover up that’s suitable for both day and night? This single button coat with wool from M&S (£69) is the coat for you! This coat looks particularly elegant on taller ladies and is cut to create a fitted silhouette. Don’t do dull? Feast your eyes on this leopard print jacket from H&M (£49.99). 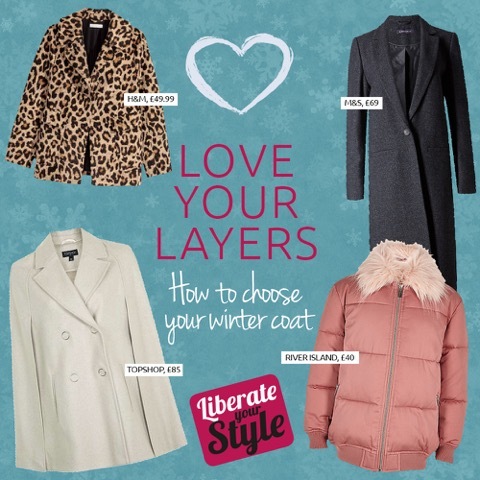 A shorter coat is ideal if you are looking to show off you legs this winter and the animal-print pattern is bound to jazz up you wardrobe during the colder months.